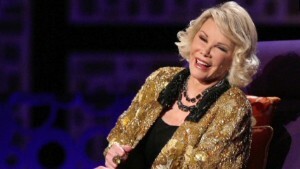 Accreditation group says clinic in "immediate jeopardy" and on "emergency suspension"
Agency says clinic should stop procedures "until accreditation questions are settled"
(CNN) -- The Manhattan clinic where Joan Rivers suffered cardiac arrest last month is still open although an accreditation group is calling for it to suspend procedures and surgeries. Rivers, 81, died a week after her appointment at Yorkville Endoscopy went bad, which investigators believe happened when an unauthorized doctor performed and unauthorized procedure on the comedian. The American Association for Accreditation of Ambulatory Surgery Facilities (AAAASF) sent representatives for an unscheduled visit to the clinic after hearing about Rivers' cardiac arrest, according to letter from the group obtained by CNN. The letters cited two "deficiencies" found by the representatives, declared the clinic to be in "immediate jeopardy" and placed it on "emergency suspension." Is clinic to blame in Rivers' death? The accreditation group said the clinic should stop procedures and surgeries "until accreditation questions are settled." The clinic sent CNN a statement Wednesday night in response to questions about the accreditation association's letter putting the facility under "emergency suspension." "Yorkville Endoscopy continues to maintain its federal, state and Quad A (AAAASF) authorization to be operational and provide patient care. Yorkville Endoscopy is committed to adhering to the standards established by Quad A (AAASF)," the statement said. There was no sign of an emergency suspension at the clinic Wednesday. Patients were seen in the clinic's waiting room. While the accreditation agency has no power to shut a clinic down, the state of New York does. State health investigators also found deficiencies in Rivers' treatment, according to a source close to the death investigation. These include the participation of River's personal throat doctor, who accompanied the comedian to her appointment on August 28 for an endoscopy procedure intended to find out why she was suffering a sore and hoarse throat, the source told CNN. The doctor was only authorized to observe while another doctor, gastroenterologist Dr. Lawrence Cohen, performed the endoscopy, which involved using a flexible camera to examine down her throat, the source said. After Cohen, the clinic's medical director, finished his work, the unauthorized doctor began a biopsy on Rivers, according to the source. The doctor was not certified by Yorkville Endoscopy clinic, as required by New York health law, to perform procedures there and no prior consent form signed by Rivers authorizing a vocal cord biopsy were found by investigators, the source said. The endoscope was not the only camera used while Rivers was under anesthesia, according to the source. A clinic staff member told investigators that Rivers' doctor took a selfie photo in the procedure room, the source said. Melissa Rivers has not remained publicly silent since her mother's death on September 4, although she did post an online message thanking friends and fans Wednesday evening"
"As my son Cooper and I mourn the loss of my mother, we want to thank everyone for the beautiful cards and flowers conveying heartfelt messages and condolences, which continue to arrive from around the world and through social media. My mother would have been overwhelmed by the scope and depth of the love that people have expressed for her. It is certainly helping to lift our spirits during this time. "We are forever grateful for your kindness and support in continuing to honor my mother's legacy, and for remembering the joy and laughter that she brought to so many." CNN's Lena Jakobsson contributed to this report.